Nirmal Chandra Kumar, who died of cerebral stroke in 1978, aged 60, was a man who was an antiquarian and owned a rare bookshop. He was also among the greatest influences on a generation of artists, from filmmaker to fiction writers, folk musician to folk artist; actors to activists, writer to wanderer; teachers to travellers -more so perhaps than any art critic or editor of his times. rare books, prints, maps, manuscripts and other materials in his own bookshop opposite a Protestant Church, in a place near Entally, in Calcutta. A place also famous, for the birth of the Communist Party Of India, Mother Teresa’s Nirmal Hriday (Young Heart) and birth of the Revolutionary Communist Party, Naxalbari. The bookshop from its opening in 1945, until the death of Kumar in 1978 was Calcutta’s pre-eminent rare bookstore. Whether you wanted books on art, travel, ornithology, botany, history, literature, mountaineering, mutiny, religion; KUMARS was the place to go. Under Kumar’s care, its Art and Indology section was its greatest strength, and the tradition of bohemian bookselling was carried forward into the 1950s and 1960s. Images : Bookplate . 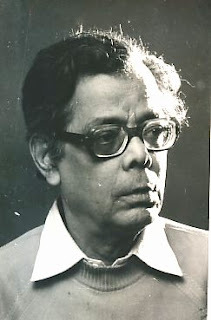 Potrait of Nirmal Chandra Kumar . The house of Kumars . A Bookshop or a Library? Kumar’s bookshop, if it could be called so, as it spread over several rooms in his residential house and looked more like a personal library housed in a well-appointed living room, was a hub for book lovers. 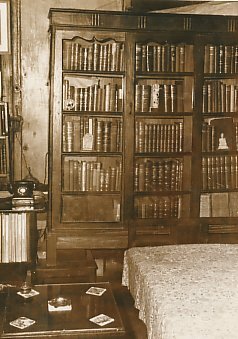 In the early 1940s, rare book collection was in a dismal, class-bound rut. The famous rare book shop Cambray, who provided Sir Ashutosh Mukherjee with 90% of his books, was already fading, Thacker & Spink the well known bookshop was alive, but there were hardly any rare books, more or less you had to hunt your way in College Street Bookshops to add rare books to your collection. Kumar helped to change all that. His enthusiasms included, the then unheralded British Painters Thomas and William Daniel to be re-introduced to Calcutta once more. He bought the rare Elephantine Folio of 144 Views of T&W Daniell from Sotheby’s, to sail it to Calcutta. 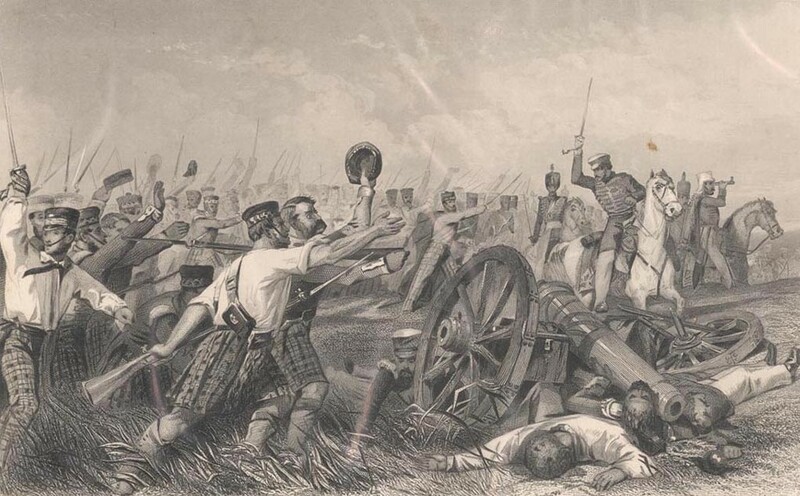 That it got damaged in the way and a bitter battle was fought with the then Macanon McKenzie is history. Much of the Folio remains today with The Victoria Memorial in Calcutta. He had agents to buy books for him at auctions abroad and purchased books and prints from such well-known establishment as Foyles. Bernard Quaritch and others.He was the first in India to publish catalogues of books in his collection , much in the style of the British. When Satyajit Ray, the famous filmmaker, started his research on the mutiny for his film Satranj ki Khilari (The Chess Player), he depended on Kumar for rare books on the subject.Kumar not only provided him all the relevant books, but also went out of his way to bid for a Scrap Book,in a London Auction, on Mutiny, having paper clippings and notes on the happening. According to R.P.Gupta, a close friend , Ray did not forget this gesture and also the fact that Kumar had always helped him with innumerable informations and facts, and paid him his biggest personal tribute. He based one of his characters in his story book series on Feluda, the detective, etched on Kumar. R.P comments that the character Sidhujata (Sidhu Uncle) in the Feluda series, with an encyclopedic knowledge ,immortalizes Kumar, who had a vast knowlkedge on many subjects. Incidentally, both Kumar and Sidhujata has been compared with another well known Bibliophile, none other than Jorge Luis Borges. 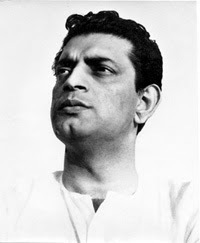 Images : Satyajit Ray . Engraving on The Mutiny. Kumar gave support to a lot many fledging artists and writers in those days. Kumar,a trader’s son, born in Calcutta, Bengal, was the eldest of seven children. After local schooling at Mitra Institute, Kolkata, he went on to Bangabasi College. The family had a large Departmental Store at Shyambazar and the family had their ancestral house nearby. Kumar lived with his parents before moving separately to Taltola, in the early 1930s. He did odd jobs and tried his hand at writing, which in his own words, he failed miserably. 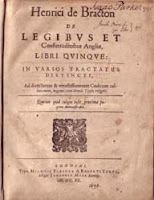 Thereafter, he started collecting rare books, which became his passion. This he turned into a business, at which he was neither a success nor could he make it pay for his living. This did not deter him and he continued with his passion. In 1900 he invited his parents to come and live with him, as his father had a misfortune in business. His parents arranged for his marriage to Karuna, who was a teacher in a school, in a sleepy railway hamlet, called Adra, which is in the border of Bengal and Bihar. Their thinking was that they would make a good pair as books and teaching go together. He continued working on his collection, but side-by-side gave support to a lot many fledging artists and writers in those days. 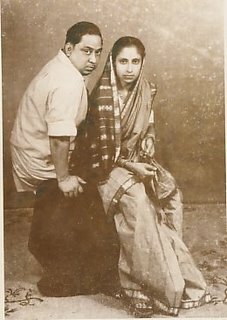 Image : Nirmal&Karuna Kumar. Original Photograph Bourne&Sheppard Calcutta. R P Gupta , a bibliophile, a writer, a gastronome, a cineaste, a collector of painting. ‘Many visitors to the city who had more than a passing interest in the history and society of that great city would, if they were lucky enough , eventually land on the doorsteps of R.P.Gupta’s flat in the southern suburb of Ballygunge’ wrote Ian Jack in the obituary of Gupta in The Independent , London. And if any of them had an interest in rare books and prints, would be taken over or referred to Kumar by Gupta. Not only that R.P or Shatul as he was popularly known, made it a point to introduce all men of letters in India, particularly in Calcutta to Kumar. Thus over years, Kumar was introduced to Jean and Krishna Riboud, Satyajit Ray, Kamal Kumar Majumder, Shanti Chowdhury, Nikhil Sarkar, Raghubir Singh, Jean Racine, Marie Seaton, N.J.Nanpooria and a host of others. Every other day , RP would visit Kumar on his way back from Tata Steel in Chowringhee , where he worked as the PR Manager and most of the days he was accompanied by an avid lover of books.He would enjoy introducing them to a world of books and looked at their awe that such a place existed in Calcutta. Since the library had rare books on all subjects-arts, history, music, botany, paintings, ornithology, you name it , there was nobody who returned without a treat . Books were a passion for Radha Prasad Gupta. He talked endlessly over phone with Kumar on books. Books that have just arrived from London, books, which are being, bided in auctions, books that have appeared in catalogues, books that have surfaced after many years of hibernation. It was books , books and books. But that was not the end R.P himself was a prolific writer, he as Ian Jack writes ‘was many things: a bibliophile, a writer in both English and Bengali, a gastronome, a cineaste, a collector of painting. Supremely, and in the traditions of his city, he was also a talker, with an exquisite, magpie gift for anecdotes and recherche facts and, eagle-like, for triumphant assertion’. R.P. loved books . It did not matter to him that he might not be able to buy it. For that was not the point. He would like to go over the books. Read the books. Recommend the books. And even helped Kumar find the right home for the book. Sometime when Kumar mentioned the name of a buyer whom RP did not approve , he would say ‘But Oh. He does not read books’. He loved to interact with other book lovers whom he met at Kumars and most often than not, he would recount some tales on a subject on which the person is researching , for him to be floored. I remember of an Englishman who was working on the place Somerset. RP narated facts on Somerset to set the man thinking hard. Here was a man sitting in Calcutta , talking about Somerset , as if he has lived there all his life.To be told in the next minute that he has never set his foot on the place and all he said was from his knowledge from books.He knew many cities by heart. His knowledge was wide , even to imbibe information on wines. He could give details of the wine countries and seeing the label to locate the exact region from where the grapes came and their uniqueness. Radha Prasad Gupta was born in 1921 in Cuttack, Orissa, where his grandfather B.D. Gupta had become the first Indian principal of the town’s most important educational institution, Ravenshaw College, after a distinguished career as the professor of mathematics at Presidency College, Calcutta. Gupta and his five siblings grew up in some style in a large bungalow but his father died young and he reached Calcutta around the outbreak of the Second World War, to study economics .He settled inCalcutta and became a part of the Calcutta intelligentsia. For several years after university, Gupta did nothing very much by way of a living. He was, in the words of a friend, a Bohemian, in the true intellectual sense He spend his days endless coffee, late-night disputation, some private tutoring. The balance of his time was spent among the second-hand bookstores in the narrow lanes of old Calcutta, searching for 18th and 19th century books, prints and ephemera. It is in one of such sojourns that he met Kumar in one of the College Street book shop and Kumar took him to his residence which housed his library. Thus began a life long relation with Nirmal Kumar. Kumar encouraged him to build his own collection and he began modestly with Bengali books, which were not that expensive. Gupta lamented latter that Kumar persuaded him to add to his collection the famous Elephantine Folio of Thomas & William Daniell , which he declined in spite of Kumar being agreeable to take only the cost price and that too in instalments.In latter years his flat became a treasure house of such things. He built up a prized collection of Kalighat pats, the pictures painted as souvenirs for pilgrims to Calcutta’s Kali temple, often comic, of which RP became a world authority. The obituary that appeared on the death of Kumar in 1978, in the leading Bengali daily Anandabazar Patrika, was written by R.P. Gupta. It is unfortunate to note that when R.P. Gupta, died in Calcutta on March 9, 2000, the leading Calcutta dailies did not carry his obituary. It was left to Ian Jack to publish his obituary in The Independent , London.